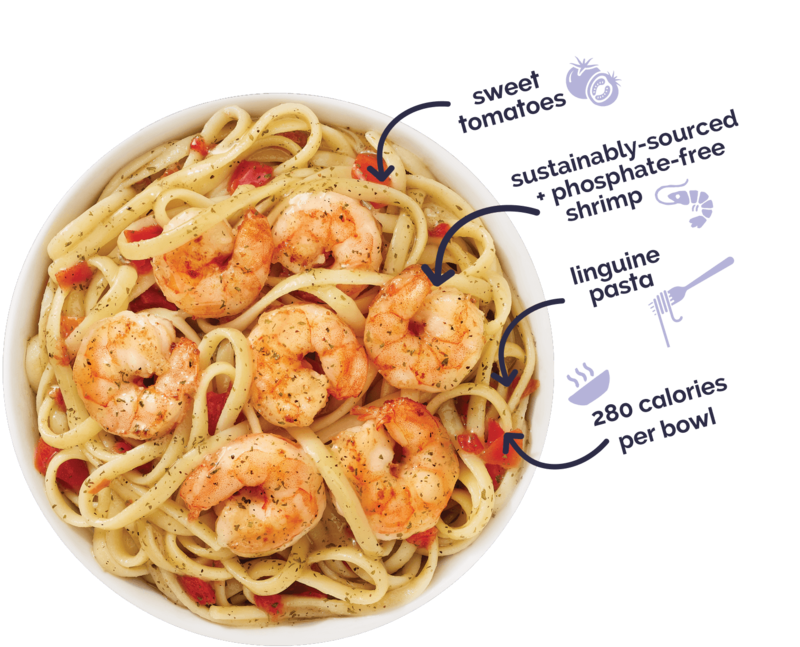 There’s a reason we picked America’s favorite seafood as the star of the flavorful meals we create to support your active life. 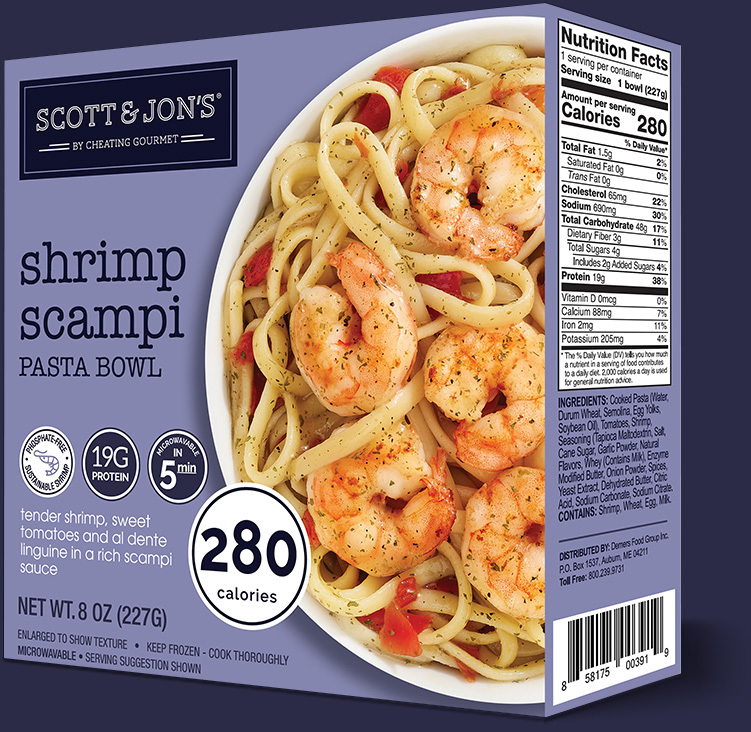 This low-calorie, high-protein food is made almost entirely of water, earning shrimp a prime place on your weekly menu. One three-ounce, 101-calorie serving is packed with 19 grams of protein and the rich array of nutrients and antioxidants that can support your good health. So you can feel good about the way our delicious shrimp dishes fill you up—without ever slowing you down. 1. Remove plastic from bowl. 2. Microwave on high, uncovered, for 2 minutes. Stir thoroughly. 3. Cook an additional 2 minutes. 4. Let stand for 1 minute. Caution bowl will be hot. Stir & enjoy.